NICL AO Scorecard 2015 Declared: The latest news is that NICL has released online scorecard / marks of written test held in April 2015 for 362 post of Administrative Officer (AO) Scale I in various departments i.e. Finance, Engineering, Legal, Automobile Engineering, Total Specialist, and Generalist Posts. NICL AO Scorecard 2015 has released on official website www.nationalinsuranceindia.com. To download NICL AO Scorecard / Cut off Marks candidates will have to logging in their account. First enter user name and enter password same as it was given in online registration of the candidates. 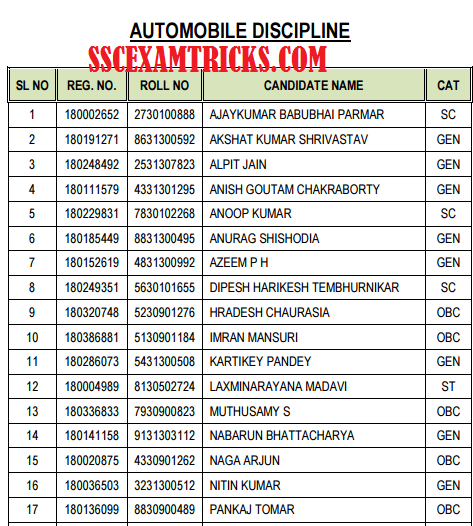 Click on submit button to download scorecard / cut off marks/ marks of the candidates in NICL AO Exam 2015. Those candidates who are waiting for NICL AO Scorecard 2015 for qualified and not qualified candidates, they can check NICL AO Scorecard 2015 Section wise marks details cut off marks from the direct link given here. 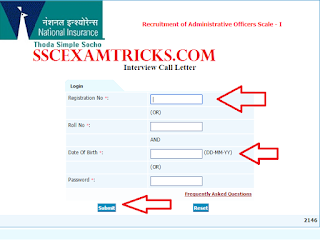 NICL AO Interview Result 2015 Declared – Download NICL AO 2015 Interview Letter - Download NICL AO 2015 Scorecards Cut off Marks Merit List - nationalinsuranceindia.com. NICL AO Final Result 2015 Declared: It is latest news that NICL AO Interview Result 2015 has declared on 14th June 2015 on official website. 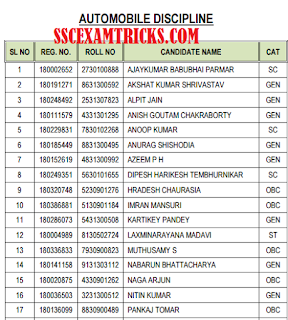 NICL AO Final Result 2015 includes name, registration no., roll no. and category of the candidates. NICL AO Final Result 2015 has declared for the selection of the suitable candidates in various discipline Finance, Engineering, Legal, Automobile Engineering, Total Specialist, and Generalist. It is declared by the company that NICL AO Final Result 2015 will be subjected to satisfactory medical report and verification of caste certificate of the selected It is also informed to the candidates that NICL AO Cut off Marks and Marks obtained by the candidates will be available very shortly on the official website. NICL has also intimated to the selected candidates via email and SMS on the mobile registered during filling online application form. These selected candidates will have to qualify Pre-Employment medical examination and caste / community verification for the final appointment of Administrative posts. Those candidates who are waiting for NICL AO Final Result 2015, they must know that the wait is over now. They can download NICL AO Final Result 2015 from the direct link given on this page. 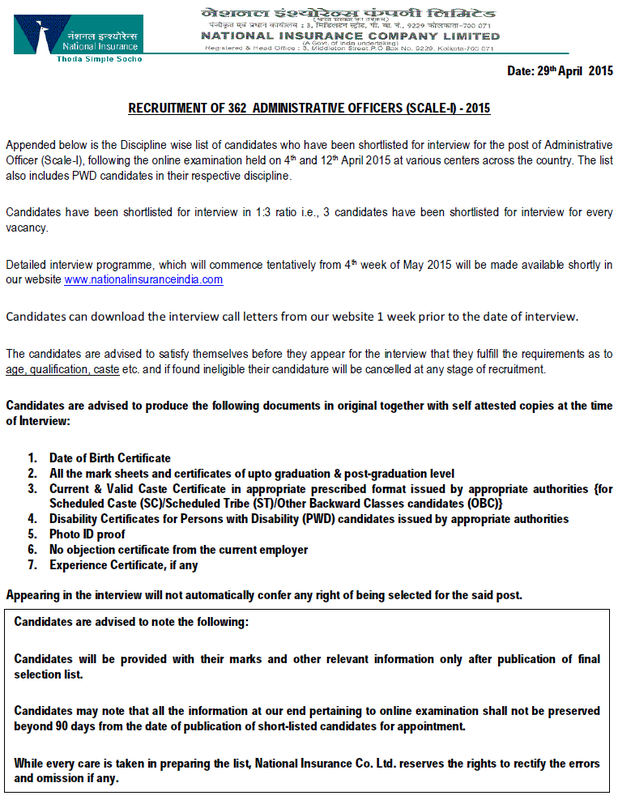 NICL had released online interview letter on 18th May 2015 on official website for shortlisted candidates called for interview which is going to be held on from 26 May 2015 onwards. 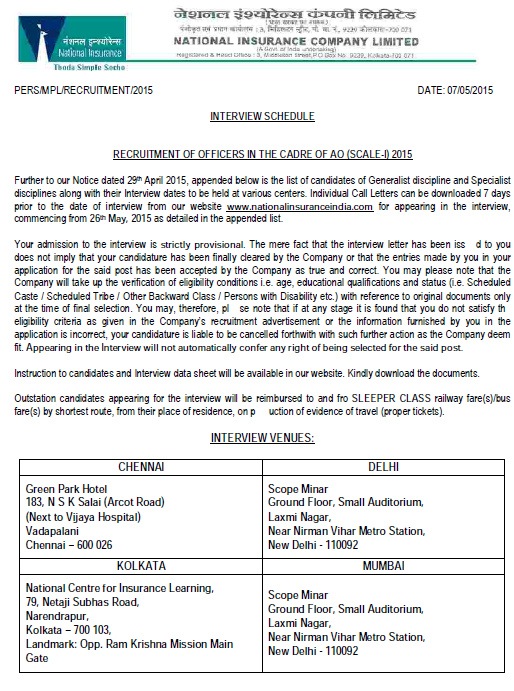 The interview letter can be downloaded before the date of interview. 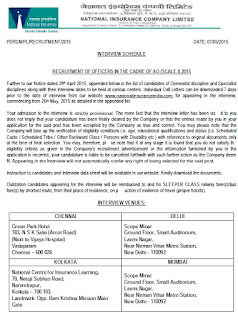 Earlier NICL had released interview schedule on 07th May 2015 on official website. The shortlisted candidate must note download interview venue which is provided below. The National Insurance Company Limited (NICL) has declared result and marks obtained by the candidates in written examination which was conducted on various dates in the month of April 2015 at various centres in all over the country for a total of 362 post of Administrative Officer Scale I in Finance, Engineering, Legal, Automobile Engineering, Total Specialist, and Generalist Posts. The latest news is that NICL AO Exam 2015 result has declared on 29th April 2015 on the official website. 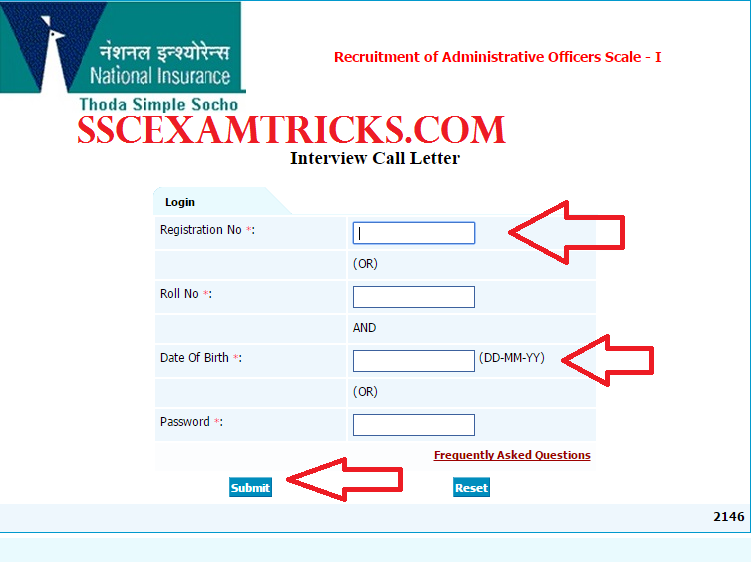 Earlier NICL had invited online applications from 05.01.2015 to 24.01.2015 for these posts of Administrative Officers Scale-I on official website. A huge numbers of candidates had applied and appeared in written examination. Those candidates who are waiting for online result and marks details, they can download their result and marks details from the direct link provided below. · The Result / Scorecard will be downloaded in PDF. · Save and print the Result Hard Copy for interview purpose. The final selection will be made on the basis of overall performance in Online Examination and Interview. The written examination was comprised of objective and descriptive paper which was conducted by online mode for time duration of 2 hours and 45 minutes respectively. The Objective & Descriptive Exam was available bilingually, i.e. English and Hindi except the Test of English Language. The NICL Exam was conducted on various dates in the month of April 2015. The NICL AO EXAM 2015 was conducted by Online MODE. In Online Mode, No OMR sheet was filled by Blue/Black ball point pen. The exam was consisted of various sections contained questions of English (40 questions of 40 marks), Reasoning (40 questions of 40 marks), Quantitative Aptitude (40 questions of 40 marks) and General Awareness (40 questions of 40 marks). The exam was a multiple choice question paper of 160 questions of 160 marks in which five options were provided out of which candidates were required to choose one correct answer. The time duration for exam was 2 hours or 120 minutes. There was 1/4th negative marking for any wrong answer. The exam will consisted of various sections contained questions of English (30 questions of 30 marks), Reasoning (30 questions of 30 marks), Quantitative Aptitude (30 questions of 30 marks), General Awareness (30 questions of 30 marks) and In Specialist stream, an additional test to assess technical & professional knowledge in the relevant discipline (40 questions of 40 marks). The exam was a multiple choice question paper of 160 questions of 160 marks in which five options were provided out of which candidates were required to choose one correct answer. The time duration for exam was 2 hours or 120 minutes. There was 1/4th negative marking for any wrong answer. The Descriptive English Test was also conducted through online mode. Questions were displayed on the screen of your computer and candidates were provided answer by typing through computer keyboard. Descriptive Test was contained three questions for 40 marks from English Language comprising of Essay, Précis & Comprehension. The time duration for the written examination was 45 minutes only. The total marks of the examination were 200 marks in which 40 marks were included for English Descriptive Section. Candidates will be shortlisted for Interview on the basis of overall marks scored in objective and Descriptive section taken together against full marks of 200. Interview will be conducted in two steps.